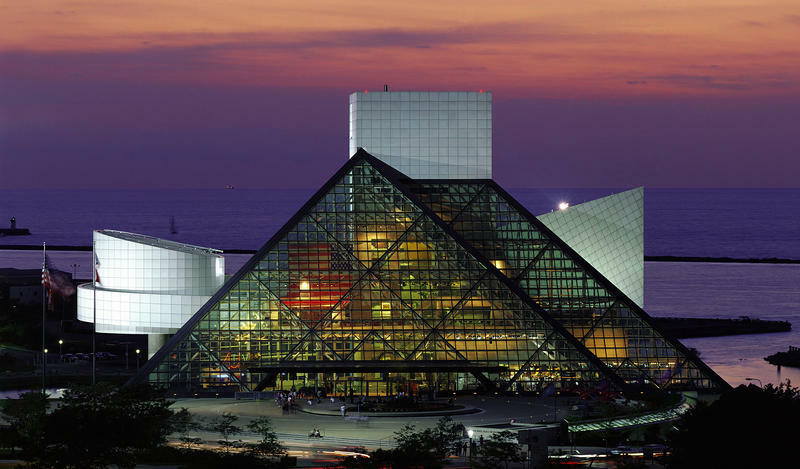 The Rock & Roll Hall of Fame and Museum opened its doors in 1995 on the shores of Lake Erie in downtown Cleveland, Ohio. Its mission is to educate visitors, fans and scholars from around the world about the history and continuing significance of rock and roll music. coined the term “rock and roll” on his Cleveland station WJW in the early 1950s and the first rock and roll concert was held in the city soon thereafter. 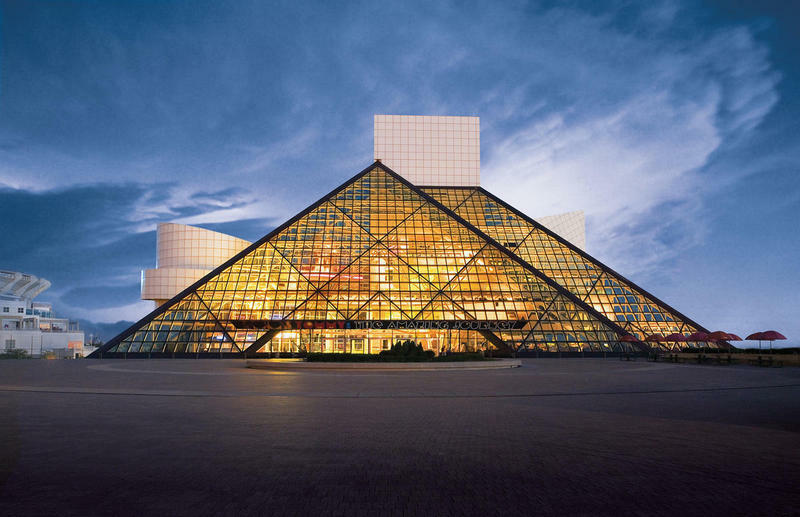 On June 7, 1993, ground was broken for the Museum in Cleveland and in September of 1995 and after 12 years in the making, the Rock and Roll Hall of Fame and Museum opened its doors. It is the world’s first museum dedicated to the living heritage of rock and roll music. The Museum features dynamic interactive exhibits, intimate performance spaces and presents a rotation of artifact and costume displays from the museum’s permanent collection. Exhibits showcase specific eras, styles and milestones, as well as highlight the many facets of rock and roll’s evolution. The Museum’s exhibits are designed to provide the visitor with a unique, interactive experience. The collection of artifacts and stage costumes is enhanced by the combination of state-of-the-art technology and innovative film and video. The Museum offers a comprehensive retrospective on rock and roll’s origins, development, legends and immense impact on global culture. The Museum presents public programming, including the popular Hall of Fame Series, which regularly features Hall of Fame inductees in an informal interview and performance setting. The annual American Music Masters Series is dedicated to the exploration of an early influence inductee’s music and enduring impact on popular music. Click to Buy Tickets to the Rock and Roll Hall of Fame! Since the Museum’s opening, the Rock and Roll Hall of Fame and Museum has welcomed more than nine million visitors from around the world and reaches more than 50,000 students and educators each year through its education programs on site and at great distances. In 2012, the Rock Hall opened its L brary and Archives – the world’s first of its kind – in downtown Cleveland, as well.